Advancements in semiconductor industry have resulted in the need for extracting vital information from vast amount of data. In the operational process of supply chain, understanding customer demand data provides important insights for demand planning. Clustering analysis offers potential to identify latent information from multitudinous customer demand data and supports enhanced decision- making. In this paper, two clustering algorithms to identify customer demand patterns are presented, namely K-means and DBSCAN. The implementation of both algorithms on the prepared data sets is discussed and their performance is compared. The paper outlines the importance of deciphering valuable insights from customer demand data in the betterment of a distributed cognitive process of demand planning. Harding, J. A., Shahbaz, M., & Kusiak, A. (2006). Data mining in manufacturing: a review. Journal of Manufacturing Science and Engineering, 128(4), 969-976. Geng, N., & Jiang, Z. (2009). A review on strategic capacity planning for the semiconductor manufacturing industry. International journal of production research, 47(13), 3639-3655. Ott, H. C., Heilmayer, S., & Sng, C. S. Y. (2013). Granularity dependency of forecast accuracy in semiconductor industry. Research in Logistics & Production, 3. Beinhocker, E. D. (2007). Managing in a complex world. McKinsey Quarterly, 2, 4. Mönch, L., Stehli, M., Zimmermann, J., & Habenicht, I. (2006). The FABMAS multi-agent-system prototype for production control of water fabs: design, implementation and performance assessment. Production Planning & Control, 17(7), 701-716. Yu, C. M., Chien, C. F., & Kuo, C. J. (2017). Exploit the Value of Production Data to Discover Opportunities for Saving Power Consumption of Production Tools. IEEE Transactions on Semiconductor Manufacturing, 30(4), 345-350. Köksal, G., Batmaz, İ., & Testik, M. C. (2011). A review of data mining applications for quality improvement in manufacturing industry. Expert systems with Applications, 38(10), 13448-13467. Chien, C. F., Wang, W. C., & Cheng, J. C. (2007). Data mining for yield enhancement in semiconductor manufacturing and an empirical study. Expert Systems with Applications, 33(1), 192-198. Chien, C. F., Liu, C. W., & Chuang, S. C. (2017). Analysing semiconductor manufacturing big data for root cause detection of excursion for yield enhancement. International Journal of Production Research, 55(17), 5095-5107. Yu, C. M., & Kuo, C. J. (2016, December). Data mining approaches to optimize the allocation of production resources in semiconductor wafer fabrication. In Semiconductor Manufacturing (ISSM), 2016 International Symposium on (pp. 1-4). IEEE. Lin, Y. H., Shie, J. R., & Tsai, C. H. (2009). Using an artificial neural network prediction model to optimize work-in-process inventory level for wafer fabrication. Expert Systems with Applications, 36(2), 3421-3427. Hutchins, E. (1995). Cognition in the Wild. Cambridge: MIT Press. Theodoridis, S. (2003). Konstantinos Koutroumbas Pattern recognition Elsevier. Fayyad, U. M., Piatetsky-Shapiro, G., & Smyth, P. (1996, August). Knowledge Discovery and Data Mining: Towards a Unifying Framework. In KDD (Vol. 96, pp. 82-88). Halkidi, M., Batistakis, Y., & Vazirgiannis, M. (2001). On clustering validation techniques. Journal of intelligent information systems, 17(2-3), 107-145. Dy, J. G., & Brodley, C. E. (2004). Feature selection for unsupervised learning. Journal of machine learning research, 5(Aug), 845-889. Halkich, M., & Vazirgiannis, M. (2001, September). A data set oriented approach for clustering algorithm selection. In European Conference on Principles of Data Mining and Knowledge Discovery (pp. 165-179). Springer, Berlin, Heidelberg. Wang, K., Wang, B., & Peng, L. (2009). CVAP: validation for cluster analyses. Data Science Journal, 8, 88-93. Rendón, E., Abundez, I., Arizmendi, A., & Quiroz, E. M. (2011). Internal versus external cluster validation indexes. International Journal of computers and communications, 5(1), 27-34. Achter, S. (2017). Influence of Demand Patterns on the Planning Performance in a Semiconductor Supply Chain. M.S. thesis, Inst. of Mgmt. Ctrl. and Simul., Hamburg University of Technology, Hamburg. Morissette, L., & Chartier, S. (2013). The k-means clustering technique: General considerations and implementation in Mathematica. Tutorials in Quantitative Methods for Psychology, 9(1), 15-24. Ram, A., Jalal, S., Jalal, A. S., & Kumar, M. (2010). A Density based Algorithm for Discovering Density Varied Clusters in Large Spatial Databases. In Int. J. Comput. Appl., vol. 3, no. 6. Zafar, M. H., & Ilyas, M. (2015). A clustering based study of classification algorithms. International Journal of Database Theory and Application, 8(1), 11-22. Ding, C., & He, X. (2004, July). K-means clustering via principal component analysis. In Proceedings of the twenty-first international conference on Machine learning (p. 29). ACM. Kurumalla, S., & Rao, P. S. (2016). K-NEAREST NEIGHBOR BASED DBSCAN CLUSTERING ALGORITHM FOR IMAGE SEGMENTATION. Journal of Theoretical and Applied Information Technology, 92(2), 395. PONSIGNON, Thomas et al. Nachfragemuster in der Lieferkette erkennen. 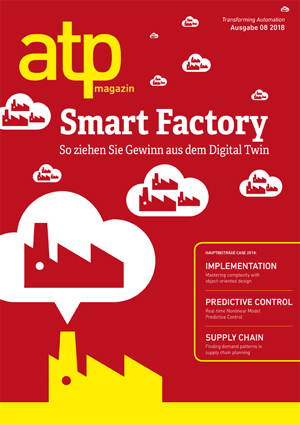 atp magazin, [S.l. ], v. 60, n. 08, p. 54-61, aug. 2018. ISSN 2364-3137. Verfügbar unter: <http://ojs.di-verlag.de/index.php/atp_edition/article/view/2360>. Date accessed: 20 apr. 2019. doi: https://doi.org/10.17560/atp.v60i08.2360.